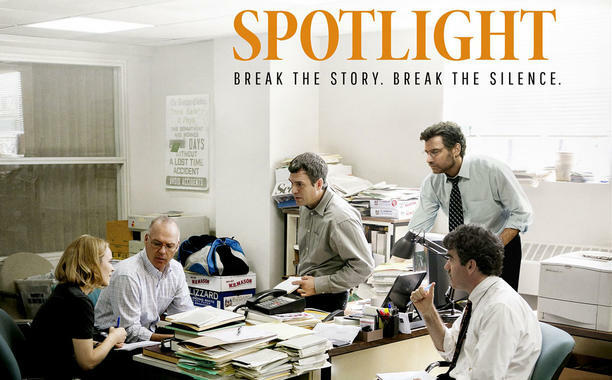 Spotlight is a film which recounts the true story of a group of reporters at the Boston Globe who tackled the enormous crisis of child sexual abuse within the Catholic church. They would win a Pulitzer Prize for their efforts. More importantly, they would demand that a conversation was held within the church regarding abusive priests. Their relentless efforts exposed a decades-long coverup, overseen largely by Cardinal Bernard Francis Law, who is alleged to have known about these horrific events. Evidence suggests that Law knowingly moved guilty priests around from place to place, negotiating quiet settlements with victims all the while. So why do I think every Christian in America should see it? Like so many other gigantic problems we face as a society, awareness isn’t enough. Everyone simply knowing there’s a problem will not do — not when it’s kids, clergy, and the church. Cardinal Law knew. Then people became aware that he knew. There has been a lot of lip service to reform, but no significant policy change. Bernard Francis Law still resides in Rome, where he moved after resigning his post in Boston. He was given a position of honor. He is viewed as the victim by his peers. Meanwhile, more than 10,000 children brought allegations against over 4,000 priests. That is a soul-staggering number. It’s not okay. Knowing is not enough. The last scene of the movie serves a profound invitation not just to recognize the enormity of the issue, but to act on victims’ behalf. This crisis is not secluded to the Catholic church. It is an evangelical issue. I know of far too many instances where great care has been taken to save face, protect the Church, and critique those asking questions. This perpetuates the culture of abuse that exists in far too many faith communities. So many of the lines in the movie are the very words that I’ve either spoken or heard in my own conversations on this subject. One struck me particularly hard. One of the journalists had drilled deep enough to expose some pretty awful facts. He is confronted by someone who doesn’t want all this to be exposed, and the line used to try and shut the journalist down is one I’ve heard employed many times over the course of my ministry. So often in our churches we argue for silence. We think the greater good is not damaging the reputation of the church. I’ve been a pastor for fifteen years. I have gone to church my entire life. I love the church deeply. I understand how important the church is to God’s mission to seek and save the lost. I am aware of how damaging to that mission corruption, scandal, and publicity can be. But as I heard that argument in the dark theater, I had to physically keep myself from throwing my gigantic soda at the screen. Since when are church leaders called to keep the truth under wraps? Does telling the truth go out the window when the truth hurts? If I am cheating on my wife, it sure makes me look bad if people find out…worse still if people talk about it. In fact, the more husbands that cheat on their wives, the worse all husbands look. The more suspicious other wives may become. But the solution is not for it to stay a secret. The solution is for husbands no to cheat on their wives. People do need the church, but they need the kind that stands up for folks that can’t stand up for themselves. They don’t need a church that keeps secrets from people and pays off victims to save face. This is what happens in Spotlight, as the relentless reporters uncover more than 70 priests who have molested kids. One priest abused more than 130 all by himself. This is all in one metro area among one religious group. The University of Chicago conducted a study which estimates over 100,000 Catholic children in all have been abused by priests. Again, that’s only one religious community. How big is this problem? There are over 200 religious denominations in America. The reporters dig deep, uncover brutal amounts of vile truth, and then they print a newspaper article about it. The climax of the movie shows copies of the Boston Globe being printed by the hundreds of thousands, stacked in trucks, and tossed on every front porch in Boston. The word is out. It’s a Sunday morning. Two reporters volunteer to come into the office to handle any phone calls they might have to handle. The other two on the team both end up at the office out of curiosity. The two extra guys show up to the sound of the phones are ringing incessantly. They’ve had to call in additional receptionists to meet the need. “The phones have been ringing off the hook all morning,” one of the reporters says. The power of permission the reporters gave the victims to have a voice is matched only by the horror we experience as viewers that so many have been victimized. Two hours and nine minutes of movie come to an abrupt end. I couldn’t handle it any more. As the credits rolled, so did tears down my face. It was difficult to take it all in. Indeed, I couldn’t. So I just cried. Every believer in America needs to see Spotlight. We need to know that just knowing isn’t enough. We need to act on behalf of the church — that’s the people, victims and their families — and not The Church — that’s the institution. And we need to shed some tears over this. It shouldn’t be left to a newspaper to shine the light for us. I do not condemn the whole Catholic church…not at all. This is a problem that has impacted many, many faiths and many, many people, including evangelical churches, mainline protestants, and non-Christian faiths as well.